Manchester United transfer target Marko Arnautovic has rocked West Ham by revealing that he wants to play Champions League football. The 29-year-old forward believes that the time is right for him to step up in his career since he is already nearing the end of his career that promised so much at the beginning but is only starting to fulfill its undoubted potential. The former Stoke City star has been fairly impressive since joining the Hammers for a then club-record £20m last summer, but the Austrian has now stated that he wants a move to a bigger club to fulfill his ambition of playing in money-spinning Champions League. Arnautovic, who was instrumental in helping West Ham avoid relegation last season, has continued where he left off by netting five more goals this campaign, helping his team sit comfortably in the 13th position after a difficult start to the season. United boss Jose Mourinho was reportedly interested in bringing the forward to Old Trafford in the summer to provide backup to Romelu Lukaku but the move collapsed after the East London outfit slapped a £50 million price tag on him. Speaking to Austrian newspaper Kurier (h/t Metro Sport), the striker said, “I’m 29, so that’s the best age. 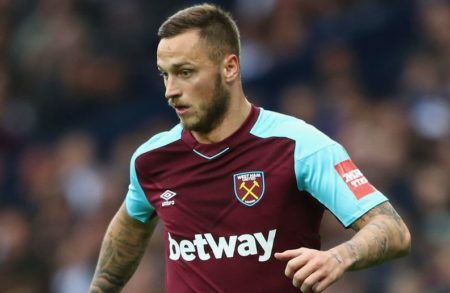 Arnautovic’s agent has also spoken of the player’s desire to test himself at the upper echelons of the league table rather than fighting relegation. Having scored 11 Premier League goals for West Ham so far, Arnautovic is a player who can play across the front three and has gained reputation for his new-found maturity on the pitch following years of controversies.